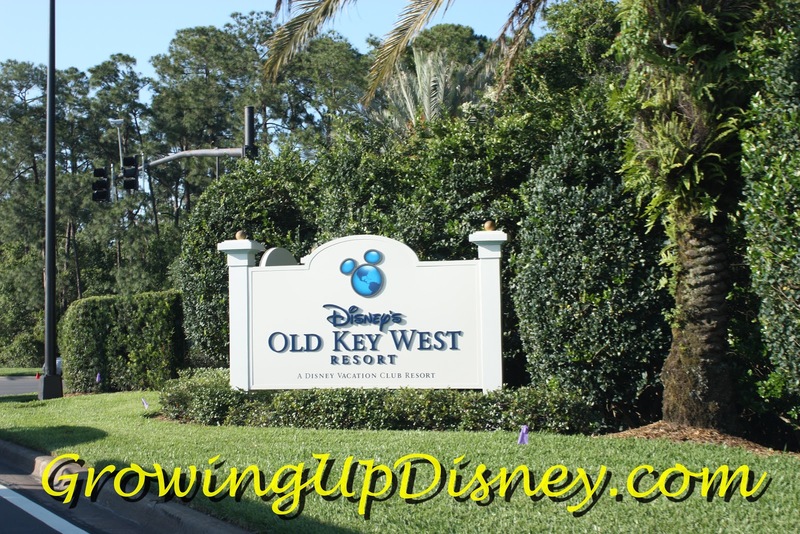 Here at Growing Up Disney we have discussed many times about how old a child should be before you take them to Walt Disney World. In general, unless you can travel to WDW frequently, I think they should be old enough to walk all day without needing to be carried. If you have a large stroller you don’t mind carrying it around, you can take a younger child. A very young child will not remember the trip. More than once I have seen the tired parent carrying a tired child and pushing the stroller. That does not make for a fun trip for anyone. But, if your trip is not a once in a lifetime event, take them early and take them often. We recently went to WDW with my two granddaughters. My wife and I had planned a trip and Amy decided she and the girls could come with us the week before our trip. 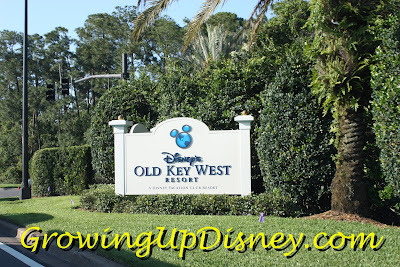 We had a one-bedroom villa at Disney’s Old Key West Resort booked that will sleep 5 so we had plenty of room. The trip down was an event in itself. Once we arrived the fun really began. When you travel with young children it works best to keep them on their “home” schedule as much as possible. So we tried to keep the girls on some sort of schedule. This was something new to my wife and I as our “schedule” consists of doing what you want, when you want. 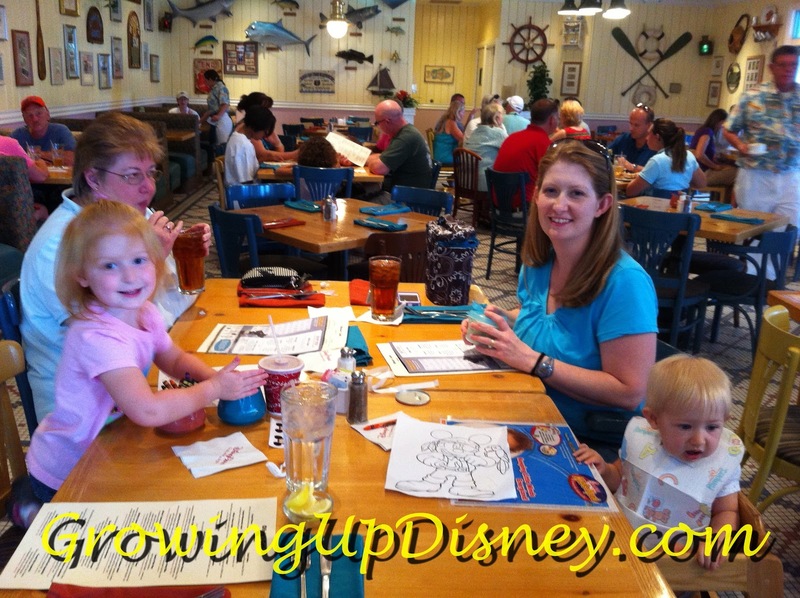 It’s been a long time since we have had young children to take to WDW. The days in the parks were fun, watching the girls and their wonder at all they saw. Amy had some specific things she wanted Tink and Minnie to do on this trip and we just followed along. While trying to do the things on her list, we also ran into some wonderful surprises. Like when we ate lunch at Olivia’s and Tink’s picture which she and I colored was announced as the picture of the day and posted on the door to the restaurant (along with the other pictures of the day) with much pomp and fanfare. 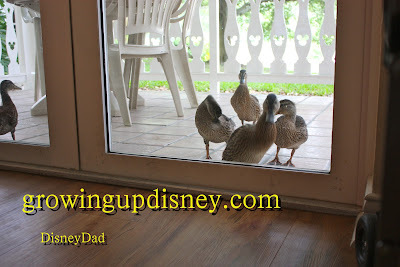 Then after lunch we arrived at our room and were greeted by a flock of ducks on our patio. The girls seemed to love that. The next day we walked into Main Street at the Magic Kingdom. Amy was going to get Fast Passes for the Mickey Mouse and Princess character greetings and as she was rounding the corner there was Mary Poppins. Tink got to visit with Mary Poppins and Mary Poppins also came over to talk to Minnie who was watching from her stroller. Not so unusual, except there was no line and no waiting. 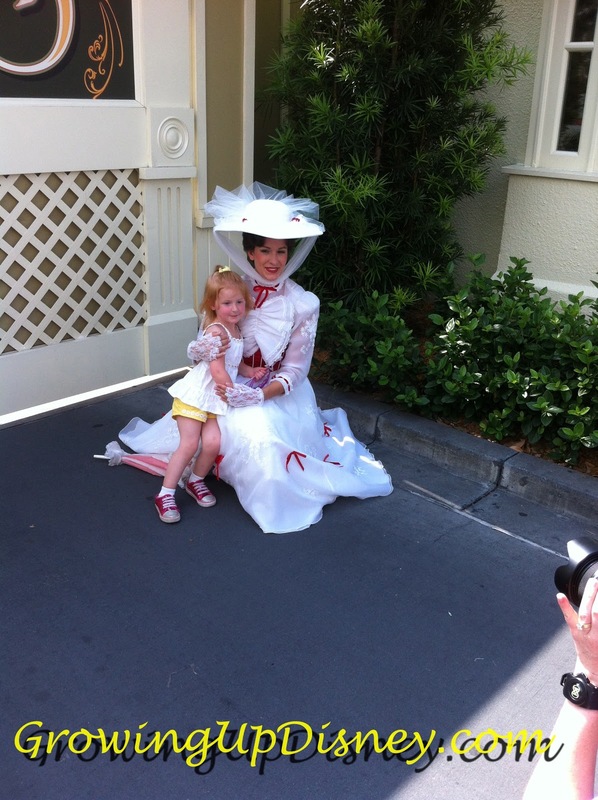 Mary Poppins was there by herself just waiting for some young child to find her and find her we did. At the Studios we happened up on one of the shows as we were walking around with Tink giving Amy a few moments alone. Tink had great fun dancing and sharing her goldfish crackers with Mulch, Sweat, and Shears. Mostly, my days in the park were spent pushing Minnie’s stroller, and Mom and I would watch her while Amy took Tink on some of the rides. But I got to watch. I got to watch my daughter take her daughter on her first rides. It was fun. I got to ride with Tink and Minnie on Prince Charming's Royal Carrousel while Amy took pictures. And we all rode It’s a Small World and watched the children sing and dance. We all rode the Kilimanjaro Safari; I think Tink liked seeing the animals while Minnie just enjoyed being bounced around. Tink seemed to enjoy Muppets 3D and Mickey’s Philharmagic while Minnie liked playing with the 3D glasses. When you have been to WDW as many times as I have, when you take a small child, especially your grandchild, you get to see things new again through the eyes of a child. We didn’t do all the things Mom and I normally do when we go to WDW, but we’ll be back. We are, after all, Disney Vacation Club Members and Annual Passholders, we will be back. I’ll only get to see my granddaughters experience WDW for the First time once. Our next trip will be different. The girls will be older and will see things differently. I wouldn’t miss all the “Firsts” for anything. We live about 600 miles from the girls so we already miss lots of “firsts” and “seconds” in their lives. I’ll take what time I can get with them, and if a lot of it is experiencing “Firsts” at WDW, I’ll take it. I wouldn't miss it for anything. I don’t mind sharing them with Mickey. Disney Dad, I loved your article! It really reminded me of the trip we took with my parents last year. Glad you like my post. 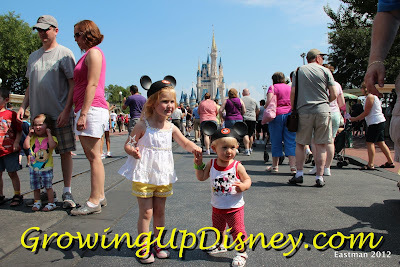 We had a wonderful time taking Tink and Minnie to WDW! 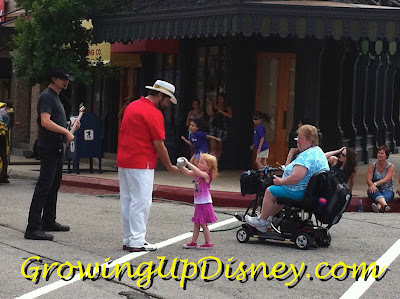 "When you have been to WDW as many times as I have, when you take a small child, especially your grandchild, you get to see things new again through the eyes of a child."